Any Insurance Company, Agency or Robotic website can get you a cheap quote, but is it right? Did you get the proper coverage? Or were you sold a policy because it was cheap? Don't wait till disaster strikes to find out your policy has more holes than Swiss Cheese---Shouldn't your home Insurance be more than just some piece of paper acquired to appease a mortgage company or public authority? And what abut service, advice and attention to details? If Customer/Personal Service is important to you, then give us a call- We're Independent Agents, Not captive to Any One Company. We look for the Best coverage at a Fair Price, Call 732-295-5584 or click on the Red Buttons above now for fast service. I & E Insurance Agency is a family owned and operated Independent Insurance Firm serving all of NJ from Alpine to Cape May, from High Point to Cherry Hill. Our Principals (2) have over a combined 77+ years experience. 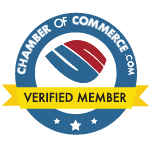 As members of Trusted Choice® Agency https://www.trustedchoice.com and Professional Insurance Agents of America www.pia.org We provide a full compliment of Insurance for Business, Personal and Commercial clients. Get a second opinion, Allow us to review. Our Agency has been named by The Asbury Park Press as One of the Top Insurance Agencies of Ocean County for the 7th time of the last 8 years from 2011-2018 in the Annual Readers Choice Awards, and Our Owner was named again for 2018 as One of NJ's Best Agents in the Annual NJ Monthly Magazine/Five Star Professional Award for Home/Auto.